ESL has announced the dates for IEM Shanghai and surprisingly it is part of the Player Break time. Apparently, the original dates for the tournament was a week earlier, however, due to conditions not in their control, the tournament would have had to be postponed by a week. The organizer had the option to either cancel the event, which would then require them to renege on deals with their partners and sponsors. So they decided to postpone it by a week or so. They also mentioned their intention to host a tournament in China on a constant basis. Hey there! When preparing the news of the Intel Extreme Masters Shanghai tournament we were anticipating that additional questions might pop up with regard to the tournament. So I am writing this post to communicate about the event on the front foot. We have announced a $250,000 tournament in Shanghai on August 1-6. The event will happen in the first week of the CSGO player break, so the period when most of the large tournament organizers, ESL included, have agreed not to run big tournaments. It’s the official vacation for players at the top of the CSGO rankings. And yet, IEM Shanghai happens over it. Every year since 2009, IEM has booked an event in China. As an aside, the list includes four CS 1.6 tournaments won by Team wNv (Chengdu in 2009), SK Gaming (Chengdu later the same year) and Fnatic (Shanghai in 2010 and Guangzhou in 2011). This year’s event was booked to be at Chinajoy, Asia’s most important gaming show. Fnatic won at this exact show in 2010. 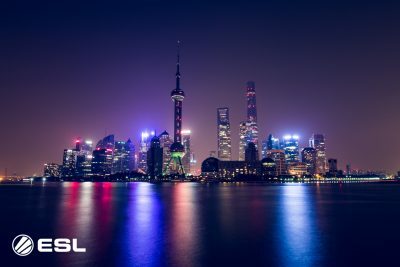 IEM Shanghai is an important piece of our CSGO strategy in Asia, as we are currently planning to install a recurring international CSGO event in China. Running a successful CSGO tournament at a trade show on Chinese soil was supposed to be an important stepping stone to bigger and greater things for CSGO coming from us. Originally, Chinajoy was scheduled for 27-30 July. Those were the dates at the time when we booked the venue. Later, the date was moved to 3-6 August — an event beyond our control that has moved the tournament to the player break. We have decided to stay the course and still run a $250,000 event. Why? The thinking was simple for us. The short term consideration was that we had made business commitments around the trade show together with our sponsors and partners. An entire hall was booked out for Intel Extreme Masters and its partners. After that, we considered the broader context. Namely, any additional opportunity to compete at a CSGO event makes a difference to teams from the Asian region. And, as mentioned above, we do want to establish a long term CSGO tournament in China as well. In the short term, running an event during a player break and missing out on some top players isn’t optimal — but in the long run, the future of CSGO is in the guys that will replace the ones in FaZe, Astralis and SK Gaming. And the highest potential for growth for CSGO has to be outside of Europe. The one thing we felt compelled to do, though, was to remove the Intel Grand Slam status of the event. The prospect of completing the Intel Grand Slam is definitely a big consideration for top players, so the intent was to take it out of the equation and remove any undue pressure players might feel to cancel their vacation plans. IEM Shanghai will not count towards the IGS standings in any way: winning won’t count as an IGS victory, nor will the event will cause a prior IGS victory to expire. We’ve discussed all of the above with a number of players and their liaison, Scott Smith. The whole process was of mutual understanding. So here’s the long story long. Thanks for reading! We will go back to work to make sure our CS return to China is as good as can be.